What is a shared ownership? It’s a business model created by Leightons for Dispensing Opticians or Optometrists who desire business ownership, but who cannot raise the capital for franchising. 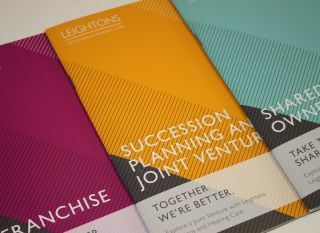 Shared ownership lets you follow your dream and operate an independent practice with your own stamp on clinical focus – knowing that you’re fully supported by Leightons. Just like franchising, it arms you with a proven business model (crafted over 80 years). This brings with it increased buying power and a central support function with all the help you need in areas like finance, marketing, HR, training and development CET, IT and more. It lets you get up and run with less capital than if you were to go at it alone. Since you’re buying a smaller percentage of an established business, your initial investment will be significantly lower. Shared ownership offers a very clever mechanism to business ownership with less risk and less capital requirement. How much will I own? The equity purchase and value will vary depending on the profitability of the store and the initial investment you provide. So, if you purchased 15% of the business equity, you’d own 15% of the business, and you’d also earn 15% of the profits annually. Learn more about the financials or for a more detailed example download our Shared Ownership brochure. Essentially, shared ownership is all about sharing the rewards and reducing the risk (compared to 100% ownership). The bonus is that you get the added security of a regular salary and all the help you need to make your business grow. Plus, you are adding to the enterprise value and are therefore building your own value, which you can then sell in the future. For a private and confidential conversation please contact Lindsay Fairhead or Ryan Leighton by calling our Central Support on 01252 823400 or email [email protected].